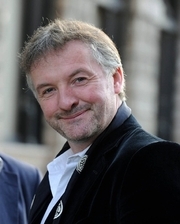 John Connolly is the author of A Time of Torment, The Wrath of Angels, The Burning Soul, The Book of Lost Things, and Bad Men, among many others. He is a regular contributor to The Irish Times and lives in Dublin, Ireland. John Connolly is the author of A Song of Shadows and many other bestsellers as The Wrath of Angels, The Burning Soul, and The Book of Lost Things. Connolly is the author of the Charlie Parker mysteries, the Samuel Johnson trilogy for middle-graders, and is co-author, with Jennifer Ridyard, of Conquest, the first book in the Chronicles of the Invaders Trilogy for teen readers. John Connolly is currently considered a "single author." If one or more works are by a distinct, homonymous authors, go ahead and split the author. John Connolly is composed of 2 names. You can examine and separate out names.